Anna Freedman is founder of Wholefood Harmony http://www.wholefoodharmony.com, the cookery school that inspires health through delicious natural cuisine. She is a qualified Macrobiotic Health Coach and Cook, with a vibrant practice, the online Pure Cook’s Training https://www.annafreedman.comand author of Pure Baby: Give A Beautiful Beginning. 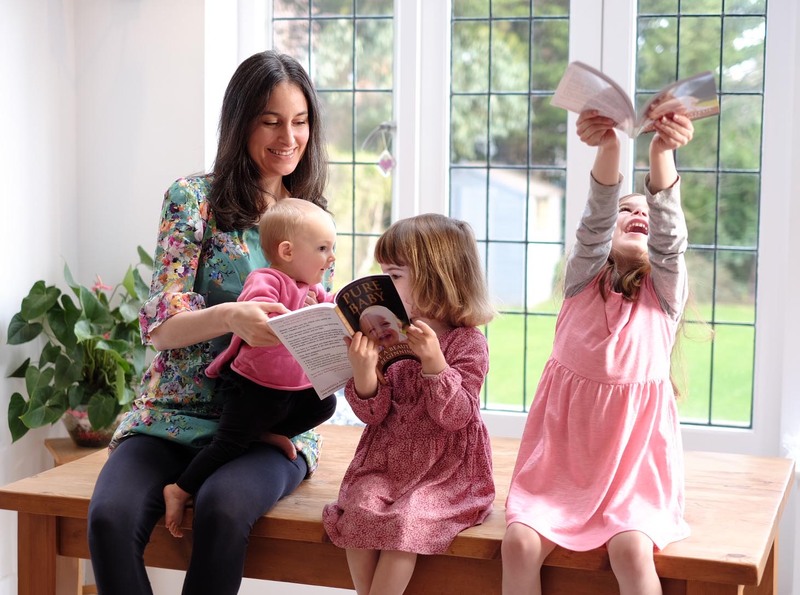 https://www.annafreedman.com/pure-baby-book Anna is mother to three children, she activates positive parenting, food and health for families through her Gaia Gang and Gaia Retreats.Today, she responds to our key questions. 1) How has learning about Macrobiotics helped in your life, and how did you first get into it? I was first drawn into Macrobiotics by the appeal of the food itself. The dishes tasted exquisite, the abundance of fresh healthy produce, the variety of flavours. I wanted to be able to create such meals myself and so my journey and learning in Macrobiotics began. The philosophy is essentially about driving our development towards living in balance internally and with nature, and so living out our greatest, potentialised selves. This underpins my approach to life, and supports my being, my cooking, my parenting, teaching and coaching. 2) Juggling life with young children and work is quite a challenge – what is your approach? Yes, trying to do anything as well as look after young children is very tricky! I guess I learnt the hard way with the first and then second child. My approach now with the three children is softer, and infact I’m finding caring for three far easier than one or two. I find I can retain my energy better now, through having confidence in my caretaking and confidence in their unfolding. 3) Tell us all about your new project Gaia’s Gang. How is it going? Thank you for asking. The Gaia Gang was born out of a whisper in my head telling me to write about food, health and parenting. This resulted in a second website, new book and a weekly article marrying my subjects of passion; nature, nurture and nourishment. The Gaia Gang grew out of this and is bringing women and mothers together weekly to focus on an aspect of peaceful parenting and enjoy a freshly crafted plant soup. Recently we have explored ways to counter screentime and invite true play. We have looked at how to get underneath the guard of seemingly demanding and aggressive children. And right now we are looking at ways to instill, encourage and support healthy food and eating for our children. I am really delighted with the positive shifts and miracles taking place back in gang families. I will also be running Gaia Retreats for a full day’s immersion in positive parenting, food and health. 4) Your book Pure Baby covers a much needed topic: how to best care for a baby in the earliest part of it’s life – what has been the reception? Mothers have welcomed the easy, healthy recipes for weaning and the whole food style. A baby’s palette is most receptive within the first year of life and so introducing a diversity of wholesome food and flavours from the start is most important in nourishing our future foodies. 5) As well as Gaia’s Gang, are you also offering cooking workshops and training? Yes, I love teaching my online course called the Pure Cook’s Training. Graduates here have gone on to lose weight, exclude sugar, heal imbalances, anxiety and chronic conditions, transform nourishment for children and families, set up natural food restaurants and enterprises, land dream jobs in pure food cookery, and grow nutrition and health coaching practices. Through Wholefood Harmony, I also teach in-person classes, run private Kitchen Impact courses and hold food and health coaching. 6) Where did you study Macrobiotics and what are your qualifications? I studied at the International Macrobiotic School and qualified as a Macrobiotic Health Coach and Cook. 7) We notice that on your website that you are addressing mostly the mums, we are wondering if dads are welcome to attend sessions too?! Good question! The Gaia Gang is aimed at mothers, and I am hoping to run something else for men too. 8) The press has taken a big interest in your work, which has been the most fun or challenging interview? I did an interview and cooking demo, nearly nine months pregnant, for an Asian television channel. The video they produced was great and made me laugh. They had introduced translations, stories and photos of my babies labelled Pure Baby 1, Pure Baby 2 and so on!